Romeo, Romeo, Wherefore Art Thou Romeo? Headed to USC! As he matured, he would drop the “Lil” and like his dad, diversify in terms of his entrepreneurial interests. Besides his five albums (if you include his upcoming “High School Romance”), Romeo is the CEO of the P. Miller Shorties clothing line which netted over $50 million in sales the year it was launched. Though only 18, he has already compiled quite an impressive list of acting credits both on television and in film. 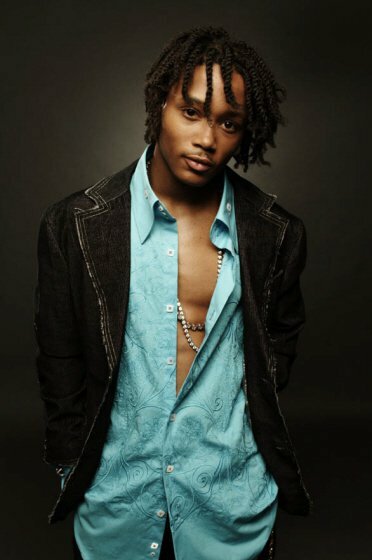 He’s had his own TV show on Nickelodeon, called what else, Romeo! and appeared on such sitcoms as The Hughleys and One on One. On the big screen, he’s co-starred opposite Jessica Alba in Honey, and Jamie Kennedy in Max Keeble’s Big Move. Plus, he has four movies currently in production: Internet Dating, a romantic comedy with Katt Williams and Liana Mendoza; Down and Distance, a football adventure with Gary Busey; The Pig People, a horror flick co-starring his father; and Sweetwater, a bio-pic where he’ll handle the title role as Sweetwater Clifton, the black player who integrated the NBA. Romeo happens to be quite a basketball player in his own right, and the 6′ tall point guard has signed a letter of intent to attend and play for the University of Southern California in the fall. Here, he talks about all of the above and more. KW: Romeo, you’ve got so many irons in the fire, I can’t decide where to start. How about the clean rap CD you made with your father, Hip-Hop History. Why’d you decide to release that? R: The reason we did Hip-Hop History was to show the world that ever rapper is different, and that anything is possible if my dad could see the bigger picture and change his career by putting out something positive. KW: What about your next album? Is that going to be clean, too? R: My albums are always clean. KW: Given that you have so much going on, between your various business and entertainment ventures, do you think you’re going to have time to go to college and play basketball there? R: Yeah, one of the things people don’t know about me and my dad is that before I started my career, we had a serious talk about what I was going to do in terms of school, because so many child stars never really have a chance to enjoy their childhood. He just made it clear that he wanted me to have a normal childhood. Even when I had my Romeo! TV show, I shot that during the summertime. I always put school first. So, while I’m at college, that’s what I’ll be focused on. KW: What will you be majoring in? KW: So, what high school do you attend? KW: Is that a public school? KW: I’d guess there must be a lot of other celebrities, and kids of celebrities there. Who are some of your classmates? R: They have a lot of people’s kids there, like Nicolas Cage’s. KW: So, I guess you don’t get mobbed everyday. R: No, just the first three months I was mobbed, some girls went crazy. But they kinda like got used to it after awhile. KW: Can you go the mall or a movie theater like a regular person? R: Yeah, well, I’m a kid, so I love doing things kids do like going to the mall and the movies. The mall can sometimes be really hard for me. That’s where I had some of the craziest moments of my life. The mall is always trouble, so I try to keep from going to malls. KW: I spoke to your dad after Hurricane Katrina and he told me about how for days on end he had no idea where your grandparents had been evacuated to. He filmed a scary documentary while searching for them called Desert Bayou, which showed better than any other picture I’ve seen just how poorly the victims of the disaster were treated. R: That documentary is something that the world needs to see, because it contains a lot of things that people never heard about. KW: That’s true. My jaw dropped watching it. I kept asking myself “How come I never even had a hint from the mainstream media that stuff like this had gone on?” In terms of basketball, who’s your favorite point guard? R: My favorite? I have a few. Nate Archibald of the old Boston Celtics, Chris Paul of the New Orleans Hornets, and I love Allen Iverson because he’s one of the smallest players on the court and he has so much heart. KW: Well, the Hornets have certainly surprised a lot of people this year. R: Not me. They were underestimated because they suffered a lot of injuries last season. But they definitely have a very talented team. KW: How involved are you with your clothing line? R: I’m 100% involved with my clothing line. KW: What’s up with your musical group the Rich Boyz? R: Right now, everybody’s working on solo projects. KW: What advice do you have for kids who want to follow in your footsteps? R: I just tell them to work hard, but always be yourself and have fun because it’s important to enjoy yourself. R: No, I’d say you’re really good at covering everything. A lot of journalists just focus on one area. KW: The Columbus Short question. Are you happy? R: With a big smile, yes. KW: Well, thanks, and good luck at USC, Romeo. KW: And say hi to your pops for me. R: Will do. Take care.